Finished Size 22" x 37". We all have it, might as well take pride in it! 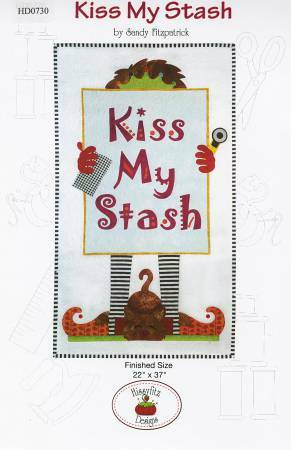 Celebrate your stash! The applique pieces in this pattern are full size and already reversed for you. It may be stitched by hand or by machine.